Silke Reeploeg introduces a new postgraduate course just starting in Scotland. Island Studies is a relatively new field, but worldwide there are already a number of academic institutions involved, with The Institute of Island Studies (IIS) founded by the University of Prince Edward Island, Canada in 1985, the Islands and Small State Institute at the University of Malta, the Small Islands Cultural Research Initiative at Macquarie University, Australia, and the Centre for Pacific Islands Studies at the University of Hawai'i. In Scotland, island research has so far been carried out by the Scottish Centre for Island Studies at the University of the West of Scotland, but from this month, the Centre for Nordic Studies at the University of the Highlands and Islands will be offering the only taught postgraduate programme in Scotland on islands, an MLitt in Island Studies. “From Atlantis to Utopia: the nature of islandness” (taught from Shetland byDr Andrew Jennings), for example, explores definitions and typologies of islands. What is an island? To what extent can islands be regarded as forming an ontological category? Are island communities special? Do they form a distinctive group? How do islands’ cultures diverge from those of their continents? The module will also examine literary and artistic descriptions of islands and their communities. It will explore the reality of insular cultural identities by comparing the cultures of the Faeroe, Åland Islands, the Isle and Man and Newfoundland. The module will also explore the dichotomous nature of islands, as both places of cultural conservatism – sometimes admired, at other times vilified – and of innovation. It will explore how insularity contributes to a distinctive insular identity. Again examples will include Iceland, the Irish islands and Prince Edward Island. On that note, “From Muckle Flugga to Pladda: the Scottish Islands” (taught by Gavin Parsons from Sabhal Mòr Ostaig in Skye) is, of course, central to any MLitt on Island Studies taught from the Scottish Islands, and gives the programme a unique flavour within the field. This module takes a comparative, multi-disciplinary look at the range of cultures and identities expressed by the inhabitants Hebrides, Orkney and Shetland and life in these islands today. It encompasses history, an examination of cultural identity, language, literature and politics. “Island Governance”, on the other hand, concentrates more on the particular political and economic needs of islands and islanders, which are not always met by their respective continents. This can lead to islands seeking and exercising varying degrees of self-government, ranging from insular local authorities like Shetland to nation-states like Malta. This module compares and contrasts a wide range of islands and their systems of governance, including comparisons between the powers exercised in places such as Shetland, Orkney, Man and the Faroe Islands. Is there an ideal amount of self-government to which small islands should aspire? Similarly, another core module on the course looks at “Island Futures” (taught by Prof David Gray from Dalhousie University, Nova Scotia) and the present and future political, economic, cultural, environmental and technological developments that are facing islands. It investigates whether new developments offer islands a rosy future or new problems, and explores how different insular societies are coming to terms with these developments and which islands are navigating their way to a successfully future. What powers do small islands need to navigate towards this future? Ever more cruise ships now visit the islands of the North and South Atlantic, with 62 ships visiting Kirkwall in 2011, while 50,000 cruise passengers will visit Stanley in the Falklands in the 2013 season. Cold islands can attract large numbers – Iceland currently attracts 600,000 visitors a year. What exactly is being sold? Is this activity sustainable? Desirable? “Selling ‘cold’ islands” (which I will teach from Shetland) focuses on the increasingly important phenomenon of island tourism in cooler destinations, and the opportunities and challenges of offering island destinations in cooler climes as attractions to the discerning tourist. In May 2013 the Centre for Nordic Studies at the University of the Highlands and Islands collaborated with Centre for Cyprus Studies at the Eastern Mediterranean University, North Cyprus and the Anthropological Institute, University of Zagreb, Croatia in the 3rd Island Dynamics Conference in North Cyprus. Papers ranged from practical aspects such as conflict and community, island tourism, heritage, traditions and music, to assessing the impact of change in history and literature. On a more general level, various island policies around cultural heritage and tourism were compared, as well as their links to sustainability and change. Theoretical concepts, perceptions, and different research methodologies were also explored, with interdisciplinary approaches looking at issues such as the creation and maintenance of diverse island identities and the dynamics between islanders themselves and their unique landscapes, environments and cultures. From unique entrepreneurial traditions to innovative subnational jurisdictions, islands are often interesting research laboratories, which offer opportunities for understanding a variety of social, economic but also cultural dynamics in a wider context. No island is an island, so join us and discover island cultures in research and practice. 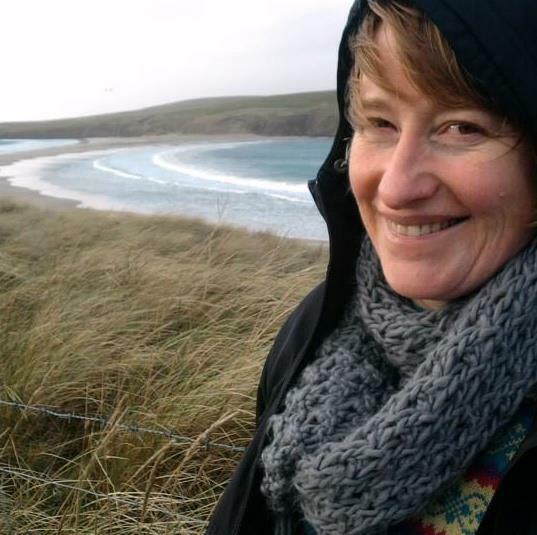 Silke Reeploeg is a researcher and lecturer with the Centre for Nordic Studies at the University of the Highlands and Islands, where she teaches on masters programmes such as the MLitt Islands Studies, MLitt Highlands and Islands Literature and MLitt Orkney and Shetland Studies. She has lived on islands as far away as Tierra del Fuego in Argentina, visited many warm and cold islands, but has found the best temperature balance on Bressay in the Shetland Islands since 2000.